I figured I'd better get upstairs. I didn't want to go to the séance... yes, the séance... and after that the top three floors would be closed — forever. I'd worked in the building three years and never been up there. This was my last chance. With no working elevators, I hoofed it up the stairs and emerged in a dark fourth-floor hallway of the doomed building. My eyes adjusted and I slowly made my way to the rooms in the northwest corner. I opened the door and entered the fabled room. There were no drapes covering the windows and the bright light nearly blinded me. The room was stark and dirty. To my left was a broken wheelchair. A sink jutted out from the far wall. Its basin was stained and dusty. Beneath it was a wastebasket — full. A bed frame with an old mattress was over by the window. All told, the room was disappointing. It just didn't seem... well... as auspicious as it should have, given what had happened there many, many years ago on Halloween. Halloween and Freemasonry: There are probably many tie-ins what with all the costumes worn in degree work, skulls and other symbols; and that's before the conspiracy theorists weigh in. 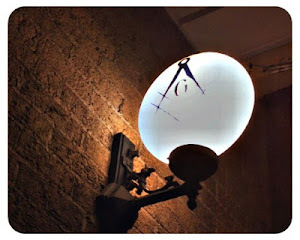 Occasionally, though, the pairing of the mysterious holiday and Freemasonry brings to mind images of Harry Houdini, a life member of St. Cecile Lodge 568, New York City. A man of mystery, you could almost say Brother Harry lived Halloween 24/7. Aside from being, arguably, the world's greatest magician and escape artist, Houdini maintained an abiding interest in the paranormal. He did not, however deceitfully promote it as he felt many did. He despised fraudulent seers and mediums and worked tirelessly to expose their chicanery. He felt everything he couldn't expose as being fake must be real. He made many attempts to communicate with his mother after she died, but found no evidence of contact. Still, feeling communication with "the other side" was possible, he made a pact with his wife Bessie that the first to die would attempt to contact the other through a coded message. No one knows what the full message was, but part of the pact was that Houdini would open a pair of silver handcuffs they owned. 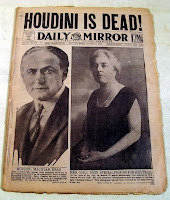 Bessie never received any communication from Houdini after his death, but hundreds of psychics claimed they did. On Halloween 1936, the 10th anniversary of his death, she held a final séance in which he failed to appear. After that, Bess declared the search over and said she believed he could not come back, "It is finished." Two years later she created a firestorm in the world of spiritualists when, playing herself in the film Religious Racketeer, she said she did not believe communication with the dead was possible. During his life the great Houdini did everything he could to separate the fake aspects of spiritualism from what he thought might be real. Shortly before his death he testified before congress against spiritualists and fortune tellers licensed to practice in Washington, DC. So adamant was he that they were charlatans, the hearing broke out in a shouting match and some of the spectators tried to attack Houdini. On the other hand, still believing there was something to communication with the spiritual world, he worked with Thomas Edison in an attempt to develop a "delicate psychic detecting instrument." The object of the "ghost machine," as it was called, was to be so sensitive it could detect the presence or touch of an ethereal being from another world. There is no evidence the machine was ever built. On October 26, 1926, Houdini received a painful blow to the stomach in a demonstration at McGill University in Montreal. Contrary to popular opinion, most medical experts believe the blow was unrelated to the appendicitis attack that followed; however, Houdini failed to get treatment thinking the pain in his stomach was due to the punch to his abdomen. After his appearance in Montreal, he traveled to Detroit where he collapsed at the end of a performance. 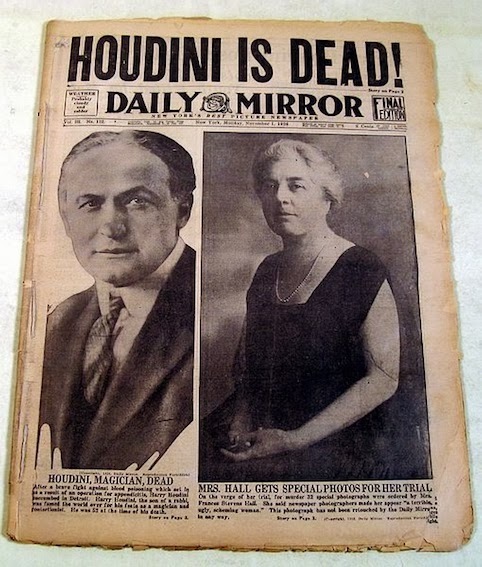 Five days later, on Halloween, Harry Houdini died. 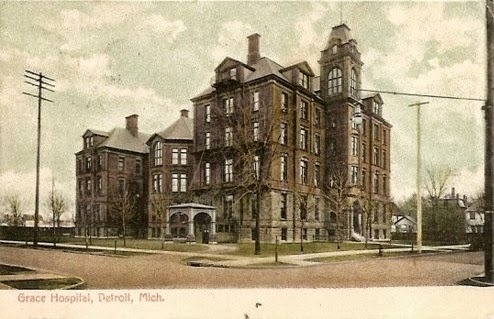 I was standing in a nondescript empty room on the fourth floor of old Grace Hospital in Detroit. The building, once considered progressive and modern, had deteriorated to the point that it would be torn down in a few months. I ran the Information Technology department downstairs and once my group moved out, the wrecking ball would move in. I soaked it all in. Somehow it just didn't seem that special, but shortly several people and the news media — this year including Time Magazine — would gather there as they had done for years on Halloween. This wasn't just any room. This was the very place where, on October 31, 1926, Brother Harry Houdini died. I took a final look and turned to leave. As I walked away, people filed past me to enter the room for Houdini's last séance. Houdini, as had been the case on every Halloween in Grace Hospital since he died, did not show up. Great piece for Halloween, Brother Steve. Well done.